Blast off with Elmo & friends! If you are a fan of Elmo & friends, then be sure to check out Universal Studios Singapore's newest ride! 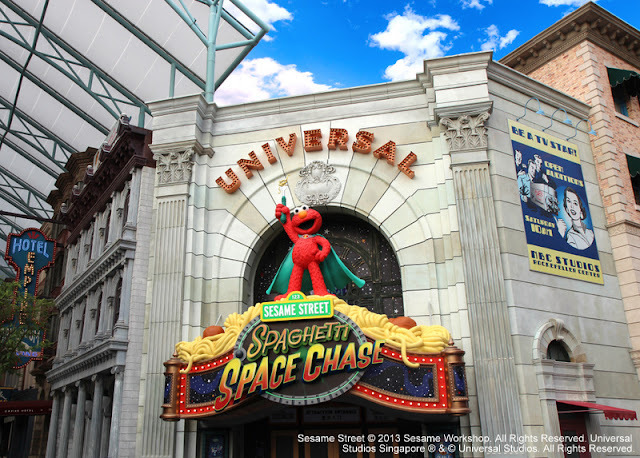 On 1 March 2013, the world’s first fully immersive Sesame Street indoor themed ride will debut taking fans on an outer space adventure with the Sesame Street gang. 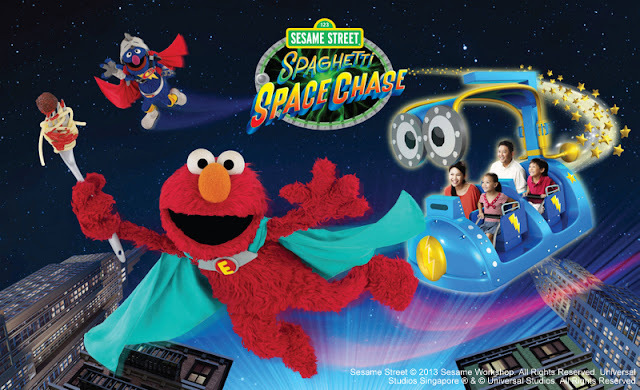 Take off on Sesame Street Spaghetti Space Chase with Super Elmo, as you help fend off “Macaroni the Merciless”, and return all spaghetti and noodle back to Earth. Sesame Street Spaghetti Space Chase will feature a zany science-fiction inspired plot, coupled with signature Sesame Street comedic style and music. Guests onboard this high-flying adventure will find themselves fully immersed in fun surroundings and special effects, alongside their favourite friends from Sesame Street. The ride will feature 12 characters from the Sesame Street repertoire, starring Super Grover and the lovable Elmo, who turns into Super Elmo to help save the day! 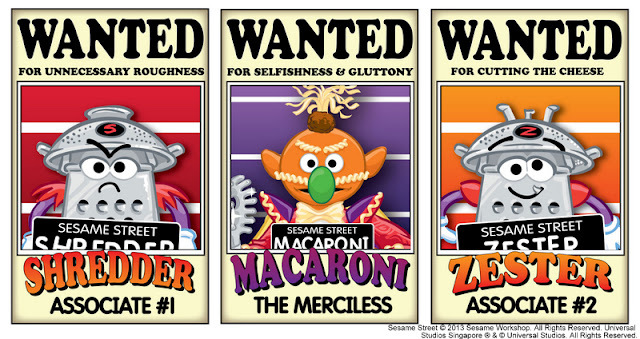 Kick-starting the story are three brand new characters, “Macaroni the Merciless” and his partners–in-crime, “Zester” and “Shredder”. Created exclusively for this ride, these gluttonous super villains are well underway in their plot to steal all spaghetti and noodles on Earth. And the best part? Children need only to be of a minimum height of 92cm to enjoy this ride, making it one the lowest height requirements amongst all rides, shows and attractions in Universal Studios Singapore. Designed for the whole family, guests are able ride without adult accompaniment as long as they are 122cm or taller. the park’s Sesame Street shows and character meet-and-greets! to enjoy a premium breakfast buffet spread, but also to mingle together with their favourite Sesame Street friends. 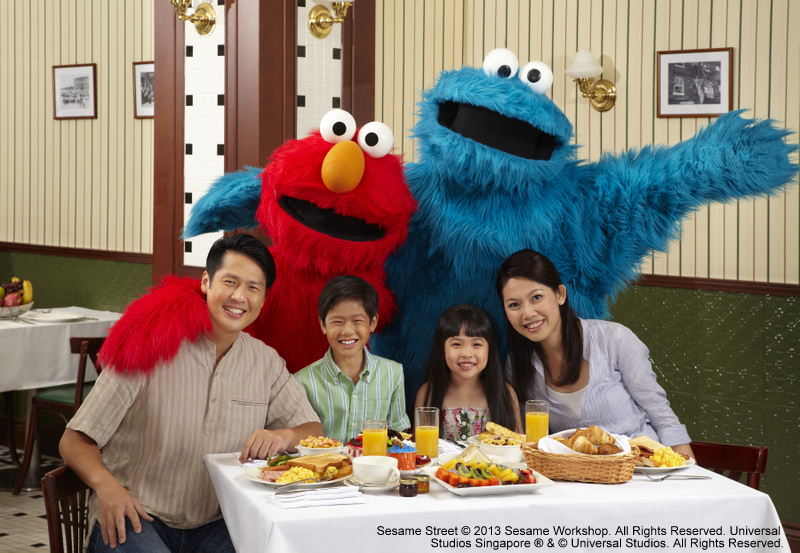 Enjoy a premium buffet breakfast spread with your favourite friends from Sesame Street, only at Universal Studios Singapore. tickets are priced at S$44 each for adults and S$32 each for children, excluding day admission fees to USS. NOW, how would you like to be the FIRST ONE to blast off on the first official space chase on 1 March at 10am? You can! Come up with some clever ideas to hide/disguise/camouflage your spaghetti, cooked or uncooked, from Macaroni the Merciless. 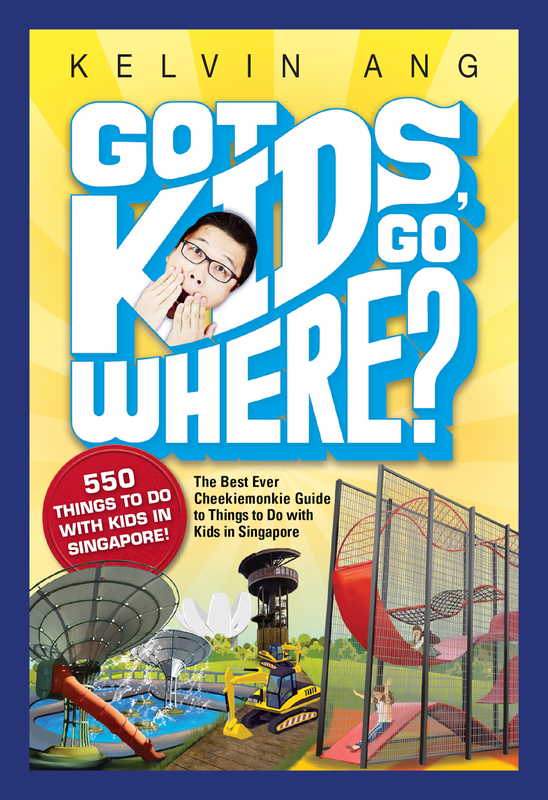 Take part in #OpsSpag (that’s Operations Spaghetti) and stand a chance to be the FIRST Super Sidekicks to blast off on the first official space chase, happening on 1 March 2013 (Fri). That’s right - you, together with 3 other family members or friends, will be the first ones to hop onto the newest ride in USS! Good luck, and may the spaghetti always be with you! Yes it is! Think my youngest one will the most thrilled with the ride! Hee.